Home/About Coleman Hanna/Why Coleman Hanna? Coleman Hanna is manufactured in the United States of America in Houston, TX. Feel confident in the high quality and easy availability of replacement parts. Support American made products and help employ over 110 Americans! Receive high quality support during normal daylight hours (8:00 AM – 5:00 PM central time). Repairs are simple as well as a dependable installation team. Hanna Car Wash Systems started in 1965 and Jim Coleman Company started in 1966. That is over 50 years in business! With all these years of experience comes industry insights and knowledge perfect for helping you start your car wash. We have been perfecting our business practices, equipment, and technology over the years and have the right formula to help you achieve success! Stainless steel is superior to Aluminum or powder coated steel providing long lasting car wash equipment. This higher quality material is dependable, reliable, and attractive! Offers reliability with an individual motor for each component. 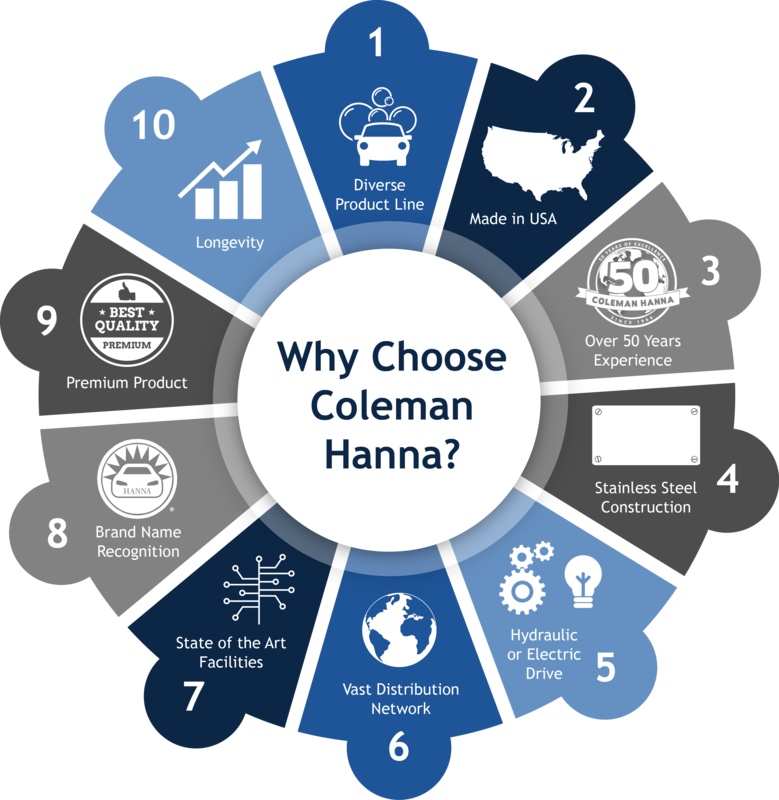 Coleman Hanna sells and services its products through a network of over 100 international and U.S. distributors. With the industry’s largest distributor network, Hanna provides the local expertise to guide you through the steps from site selection through opening day. Hanna distributors are required to have the experience, staffing, service and financial strength to provide customers with knowledge and insight into every aspect of vehicle washing. Hanna and Coleman Hanna have more than 160,000 square feet of manufacturing capacity. The plant located in Houston, Texas is devoted entirely to the manufacturing, assembly and testing of vehicle wash equipment. The site also has an active retail car wash as well as an extensive test facility operating the newest conveyor components. Hanna and Coleman Hanna welcome visitors daily from around the world. The manufacturing philosophy at Hanna and Coleman Hanna is to produce the best vehicle wash equipment-engineered to exceed the expectations of the car wash operator today. 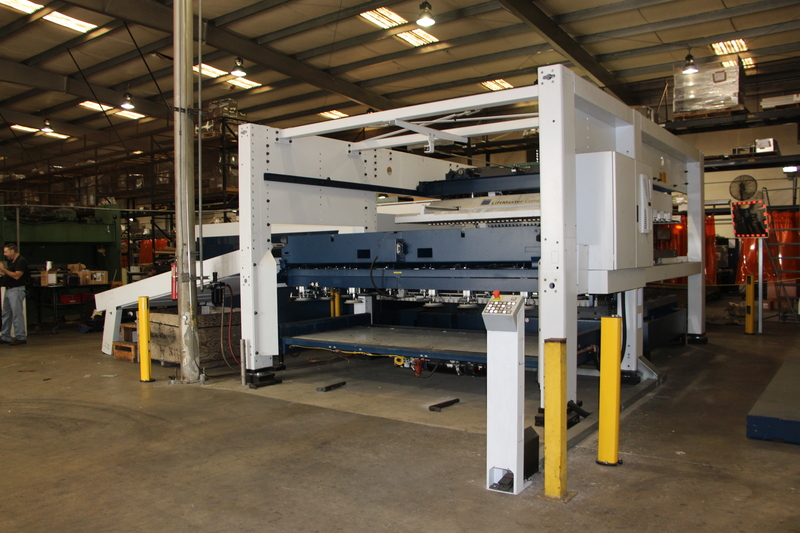 At Coleman Hanna, we are always improving our technology to make the manufacturing process faster and easier for you! We also take safety very seriously and improve methods to keep our trusted employees safe and sound. 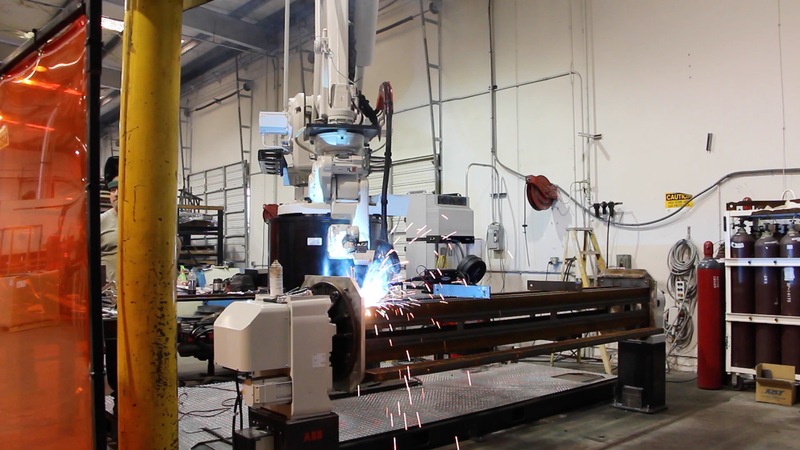 Check out some of the recent additions to our manufacturing facilities. Hanna, a division of Coleman Hanna is the car wash industry’s most recognized brand with nearly 50 years in the vehicle wash industry. Hanna’s success comes from years of experience and dedication in building the finest quality, longest lasting components and systems. Hanna’s contribution to vehicle washing is evident around the world with the leading market share for installed conveyor car wash systems worldwide. Hanna vehicle wash equipment can be found in 100 countries and territories. Hanna systems are designed for high volume, high-speed car washes with minimal maintenance and the lowest incidence of customer complaints. This philosophy has earned Hanna the reputation as the Operators Choice™ in vehicle washing equipment. Hanna has the broadest line of conveyor wash systems and components in the industry, including Soft Cloth, Light Foam, Hand Wash and Hi-Pressure Touchless conveyor systems. Each Hanna system is designed to match specific financial, engineering and size requirements. Depending on length and configuration, Hanna can design a vehicle wash system capable of cleaning 45 to 200 cars per hour. 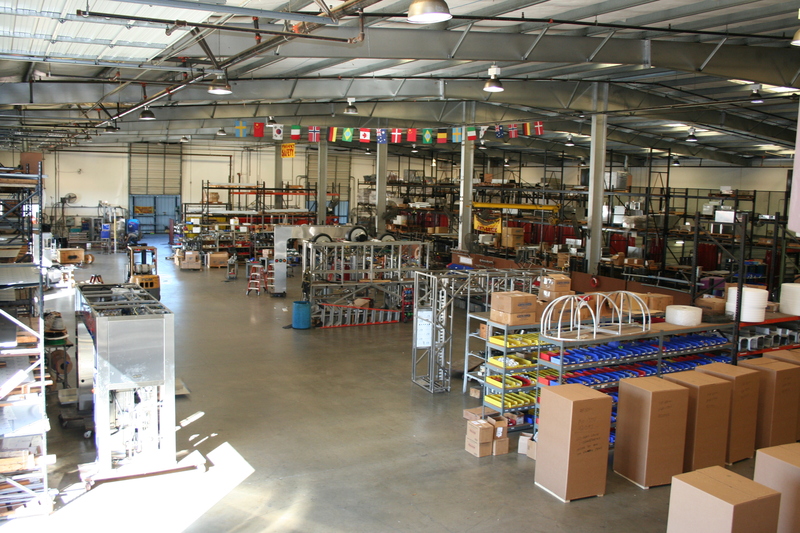 In addition to conveyor systems, Hanna customers have access to the entire line of Coleman Hanna products including the industry’s broadest line of in-bay automatics, self-serve and vacuum systems. Because of the high quality and latest technology, our equipment has locations that were installed over 20 years ago! The longevity of our equipment helps increase your ROI and prove to be a sound investment.